One of the biggest misconceptions surrounding video games, especially among people unfamiliar with the industry, is that everyone involved in making them eventually gets rich. After all, franchises like Call of Duty and Assassin’s Creed sell millions of copies annually. With said games selling for around $60 a copy in the U.S., there’s obviously plenty of money to go around for full-time game developers. Although that’s not exactly the case, people who work in the gaming industry do have some pretty good salaries. Making games is a very challenging and time-consuming endeavor, which is why those who do land a job at a good studio get paid well. Below you’ll find the average income for game developers in various categories, including a bit about why they make what they do. These numbers are based off Gamasutra’s annual Salary Survey that involves asking more than 4,000 developers how much they made in 2013. It’s no surprise that game testers usually make the least amount of money. This is because testers aren’t heavily involved in the development process and, unlike other positions, they don’t even need a college degree to get hired. In fact, most developers often hire kids fresh out of high school that are fine with working very long hours, including weekends, just to say they have a job in the industry. Note that QA positions are usually temporary since there’s only a certain time period in development where extensive testing is required. On average, the people who bring the game designer’s ideas to life tend to earn a good annual salary. Artists are always in demand in the gaming industry, especially those with relevant college degrees and/or years of experience under their belt. Keep in mind that what artists in different categories actually make can vary. In other words, the number above reflects all artists and animators rather than what the salary is for only environmental artists, concept artists, 3D animators, etc. We don’t blame you if you were expecting game designers to make more money than at least producers or even programmers. While the role of game designer is considered one of the best and most rewarding, it’s not very high on the list when it comes to which positions pay the most on average. This may be because everyone wants to be a game designer and not a schedule-pushing producer or engine-coding programmer. $70K+ is still is a pretty good annual paycheck though, especially since you’re doing what you love for a living and have arguably the coolest title. 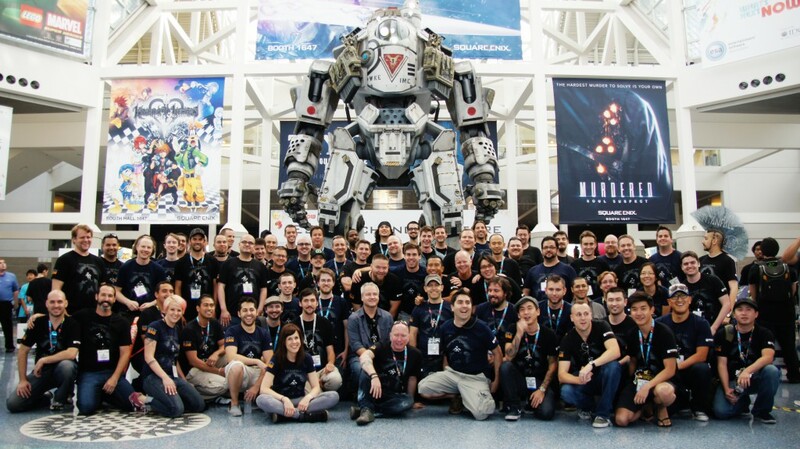 The job of a video game producer isn’t easy, which is why they get paid pretty well. A producer is usually the one who oversees the development and funding of the project, which including negotiating contracts, maintaining schedules and budgets, pushing the team to meet milestones, arranging groups for testing, and keeping the team motivated. Game producers with half a decade of experience and at well-known companies have been known to make more than $125,000 a year. Not only do programmers have one of the most challenging jobs in the industry but they are also a must-have for every game project. After all, without anyone to code the game, it will never be more than just ideas in the mind of a designer. Another contributing factor to their high salaries is that programmers are often the ones there from start to finish, including crunch time hours as development starts wrapping up. The guys and gals behind your favorite video game soundtracks make a pretty good sum of cash for themselves. They also do all the sound effects and may even work with the writers and designers to get voice acting in the game. Truth be told, being an audio professional in the gaming industry is a very competitive career where one person may get hired for several games, which means less opportunities for others. That is why this salary average is so high—most of the people who were surveyed probably worked on many high-profile games. Just like in most technology and entertainment industries, the people in suits and up at the top are the ones raking in the most dough. To be fair, there’s nothing easy about being the one dealing with investors and publishers, especially when games these days can cost several millions of dollars to make. If you want to make the most cash in the gaming industry without actually helping to create games, business and management is for you.